Here at the Neuro Visual Center of New York, we want to make sure we give our patients and the public trusted, professional and recent information regarding binocular vision dysfunctions (BVD), such as vertical heterophoria (VH) and superior oblique palsy (SOP). Understanding just what’s going on in your eyes and the signals being sent to them by your brain is just as vital as developing an effective treatment plan that restores your vision and your life. If you have an upcoming Neurovisual examination, or if you think you may have BVD, we encourage you to explore our list of frequently asked questions. What Are the Signs of BVD? Nausea, motion sickness, limited depth perception and other coordination and balance complications. You might also feel off-balance while walking or drift to the side rather than walk in a straight line. What’s more is that the condition can lead to poor hand-eye coordination. Pain in the face and eyes as well as pain when moving the eyes. Because of a tendency to tilt the head to properly align the vision, those with BVD often complain of neck and upper back pain and other discomfort commonly associated with spinal misalignment. Difficulty with reading and reading comprehension. Specifically, BVD can cause you to skip lines as you’re reading or easily lose your place. Experiencing anxiety at the thought of walking through large open areas with tall ceilings. You could also grow anxious at the possibility of having a dizzy spell or experiencing visual stimulation overload while driving. Overlapping, double or blurred vision. Those with BVD might also experience extreme light sensitivity. What Is VH and Superior Oblique Palsy (SOP)? Besides being types of visual dysfunctions, both VH and SOP are categorized by one eye seeing an image higher than the other eye. This can be caused by a physical misalignment between the eyes or an abnormality in the eye nerves or muscles. One thing to bear in mind is that your optometrist might not be able to spot this imbalance or abnormality during a standard eye exam, making it important that you allow Dr. Israeloff to examine your eyes, offer a professional diagnosis and prescribe prismatic lenses for your eyeglasses if necessary. How Are Binocular Vision Dysfunctions Treated? The main method of resolving BVD is to correct the misalignment with very precise custom prism eyeglasses. With a prismatic lens, light is moved in a way that both eyes are receiving images in the proper position which means the eye muscles are no longer straining to correct the skewed vision, which leads to a decrease in the causes of dizziness and various other symptoms that give you grief. Can a Binocular Vision Dysfunction Make it Cumbersome to Drive? In addition to the actual act of driving potentially leading to a dizzy spell with the abundance of visual stimulation that needs to be interpreted, comprehended and sorted by the eyes, the very thought of driving can cause anxiety. The reason for this is that you don’t know if you’ll be fine while behind the wheel or if you’ll become disoriented, which can lead to an accident. On a related note, this anxiety can bubble to the surface when you’re in large crowds or at the idea of being in a large crowd. Much like with driving, there’s an abundance of visual information to process in crowded areas, and the ceilings of large buildings can also trigger dizziness, headache, neck pain, and light sensitivity. How Do You Get BVD? You can be born with BVD, but the symptoms may not develop for many years. This is mainly because your body and eyes attempt to compensate as you grow up, leading you to think what you see and the symptoms you feel to be normal or caused by something other than BVD. BVD can also be caused by a head trauma, stroke, or neurological disorders. BVD is very common in people who suffer from Post Concussive Syndrome. There’s also a chance a binocular vision dysfunction can be brought on by falling, a car accident or another jarring incident. Should you be born with BVD, any of these incidents have the potential to exacerbate the condition. While the etiology of the BVD in these cases is unclear, it is clear that the symptoms of BVD started immediately after the incident. 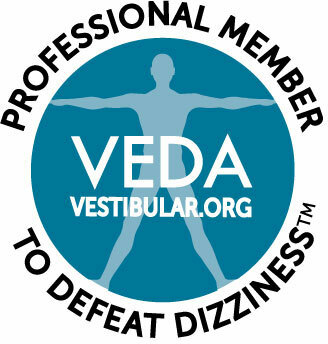 Asking you to complete a questionnaire that has been designed to help diagnosis BVD as the cause for dizziness, headache, and blurred vision. A detailed health history form is also completed. Performing a comprehensive eye exam and a specialized NeuroVisual Examination. Fitting with a trial version of prescription prismatic lenses. You can expect to spend approximately 2 hours time in our office during your Neurovisual examination. It’s not unusual for patients to experience relief from symptoms within 30 minutes of putting on their trial lenses. A progress evaluation is performed after one month of wearing your new prescription. Up to 85 percent of patients need an adjustment of the prescription at that time. Once, your prescription is stable, only annual examinations are needed. At What Age Can a Person Be Helped? Individuals have to be old enough to inform us of how they feel and old enough to wear glasses. Dr. Israeloff is experienced with working with adults and children. The youngest we’ve treated is three years old, and there is no upper age limit for the patients we can help. Can people with Traumatic Brain Injury Be Helped? Besides patients who are young and old, the Neuro Visual Center of New York has also helped those who have suffered from a traumatic brain injury (TBI). TBI patients should first be evaluated by brain injury specialists and their main health care providers in order to rule out other causes of vertigo symptoms (dizziness) and headaches. If no other cause if found for the symptoms then these people can often be helped. The duration of symptoms is not a factor. People with BVD symptoms for longer than 30 years have been helped with prismatic lenses. If you have additional questions regarding insurance, continuing treatment or anything else not mentioned on the above list, don’t hesitate to reach out to a representative of the Neuro Visual Center of New York by calling 516-224-4888. If you like, you can also fill out our questionnaire and we’ll be sure to get back in touch with you ASAP. We’re here to do everything we can to give you lasting relief from blurred vision, migraines, dizziness and anxiety.